For my mantle for Spring I wanted something extremely feminine and decided upon a Vintage Spring Mantle. 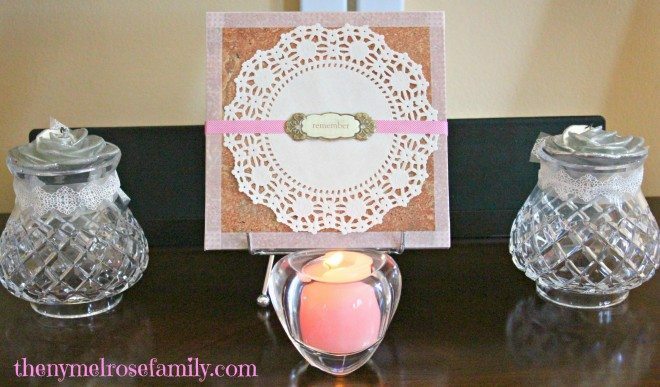 My mantle is perfect for Mother’s Day centered with simple doilies and vintage opaque buttons. The mantle is also perfect for bringing home a sweet baby girl, which I hope to do very soon. I centered the mantle around a Vintage Tile that was tied together with an embellishment that read “remember”. It reminds me each day to remember what I am thankful for. I used the same tile that I used for my Tile Photo Gift, which I created for my sister for Mother’s Day. I used washi tape around the outside of the tile, centered a doily and held everything on with adhesive ribbon. The globes on either side of the tile are vintage candle holders that were topped with silver rose candles. I added the vintage lace and burlap art work in order to balance the mantle. The pink background is actually a lace piece of scrapbook paper. 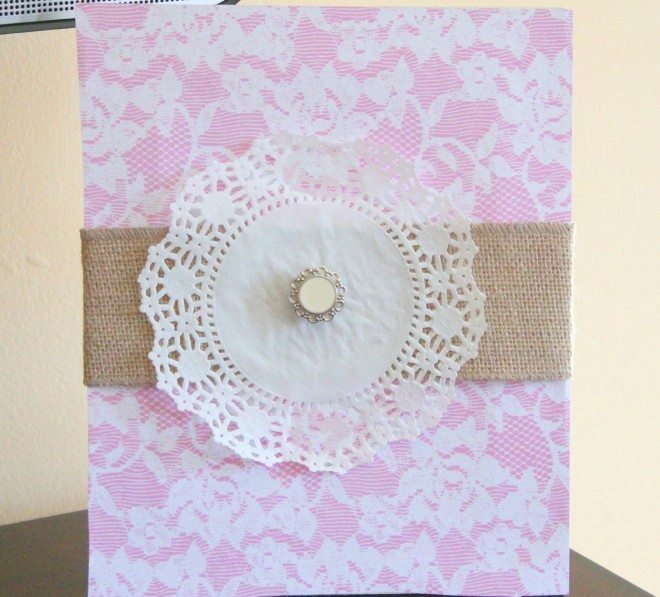 I wrapped the scrapbook paper with burlap ribbon and placed a doily in the middle with an opaque vintage button. 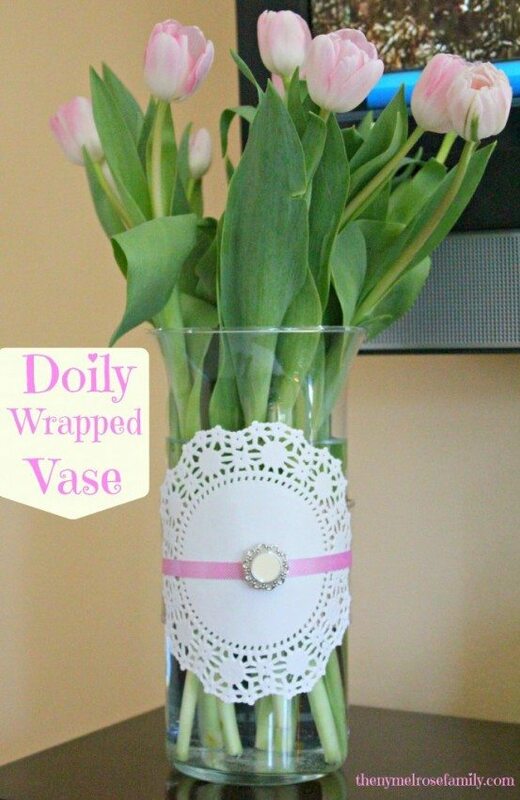 The final addition to my mantle was a Doily Wrapped Vase with pink tulips. Riley picked out the pink tulips and it was my entire inspiration for the mantle. I loved how the tulips were not pure pink, but rather had streaks of pink through them. They gave me the vintage inspiration. I love a pretty mantle!